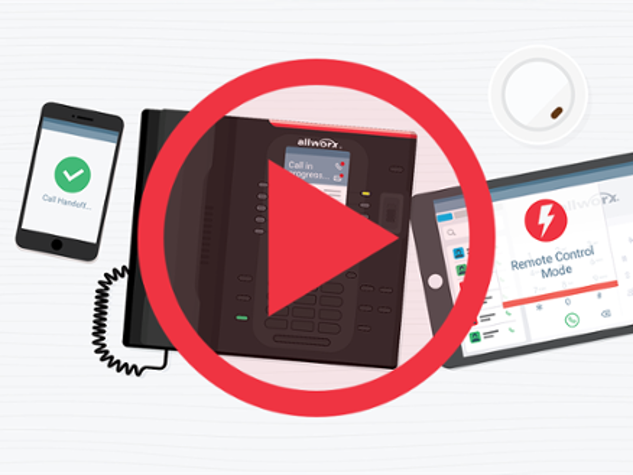 Allworx Corp., a Windstream company, today introduced the latest generation of software for the award-winning family of Allworx VoIP communication systems designed for Small- and Medium-sized Businesses (SMBs). Supporting Allworx Connect™ servers, Allworx Verge™ VoIP telephones, linked mobile devices and other equipment, these software upgrades provide valuable enhancements and features for their expanding base of customers. Note: System Software Release 8.5 will be the last major release to be supported on Allworx 6x, 6x12 and 48x servers. Allworx Reach™ extends the rich functionality of the Allworx IP phone to mobile devices. The latest 5.1 releases of Allworx Reach extend the new Park to Extension feature right to your mobile device. Allworx Interact™ — the ultimate call control dashboard — combines the ease of a PC-based interface with the high voice quality of the Allworx IP phone to boost employee productivity. The latest release 4.0.29.2023 provides an extremely powerful interface for the new Park to Extension feature, as well as enhanced drag-and-drop behavior. Headquartered in Rochester, N.Y., Allworx is an award-winning maker of VoIP communication systems for SMBs and a wholly owned subsidiary of Windstream. Allworx provides a complete portfolio of VoIP systems, IP phones, network switches and advanced software options to help SMBs create solutions tailored to meet their unique needs. Allworx has deployed more than 60,000 VoIP systems and more than 950,000 IP phones across more than 38,000 business customers to date. Allworx is available to SMBs through a network of 1,000+ independent resellers in the U.S., Canada and Latin America, and also as Windstream IP Simple, a managed monthly subscription service that combines Allworx with VoIP and data services from Windstream. For more information, please visit www.allworx.com. Windstream is a leading provider of advanced network communications, including cloud computing and managed services, to businesses nationwide. The company also offers broadband, phone and digital TV services to consumers primarily in rural areas. For more information, visit www.windstream.com.